Excellent accommodation by way of new furnishings (beds, linen, furniture, carpets, decor etc). 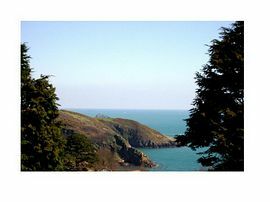 Sea views, walking distance to beach, close to coastal walks, less than 10 minute drive to Dartmouth. Channel View is situated in the coastal village of Stoke Fleming, a designated area of outstanding natural beauty & less than 3 miles to the historic naval port of Dartmouth. 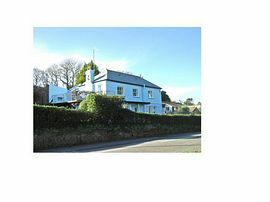 The village has many excellent amenities including a well stocked shop, post office, petrol station with shop, 2 pubs, fish restaurant, hotel with restaurant open to non residents. Channel View is a ten minute walk to the award winning beach at Blackpool Sands which provides excellent amenities including shop, cafe, toilets etc. In April 2006, Channel View finished the final stages of an intensive refurbishment and renovation scheme, all of the spacious bedrooms are tastefully decorated and newly furnished, all en-suite shower/bathrooms have been totally replaced with modern appliances & pressurised thermostatic showers. Having undergone such a level of refurbishment, it is our obligation to continue to maintain the high standards that we believe we have achieved. Guests can enjoy breakfast in either of the two dining rooms or on the terrace, all of which offer stunning sea views, as does the guests garden and some bedrooms. We have ample off road parking for our guests (on the basis of one car per room). We welcome families with children and believe that our facilities to cater for such are well above standard (please see our website for more details, such as our Family Suite and accompanying photographs). We wlso welcome, four legged family members at no additional charge, but do ask that we are notified in advance. 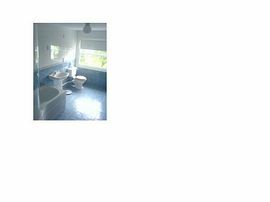 Single Room: £35.00 per night to £50.00 per night for room and breakfast. Small Double: £50.00 per night to £60.00 per night for room and breakfast. 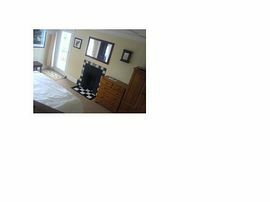 Double/Twin: £60.00 per night to £75.00 per night for room and breakfast. 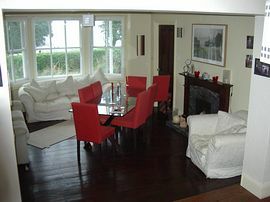 Family Room: £80.00 per night to £95.00 per night for room and breakfast. Family Suite: £100.00 per night to £140.00 per night for suite and breakfastfast. Please see website for more conclusive prices. Pet Facilities: Pets are allowed. We welcome dogs (& their well behaved owners) by prior arrangement at no additional charge. Smoking Facilities: Smoking is not allowed. Our house is strictly non smoking, but in addition to our outside terraces & gardens, we provide an undercover smoking area with tables, chairs & lighting for the comfort of our guests who wish to smoke. Special Diets Provision: Special diets are catered for. We are happy to cater for special dietary requirements, but do ask that we are notified in advance to ensure we can purchase only the best ingredients to suit individual needs. At the end of the M5 (Junction 31), proceed onto the A38, past Exeter, following signs for Plymouth. Take the turning off the A38 signposted Dartmouth and Buckfastleigh and at the junction, turn left onto the A384, signposted "Totnes/Dartmouth". Follow the A384 to Totnes and turn right at the traffic lights onto the A381 (Western By-pass) signposted Dartmouth/Kingsbridge. Go straight over the next set of traffic lights (you will see a white building "Dart Fire" on your left) and up a steep hill. Continue on this road, passing through the villages of Harbertonford and then Halwell. In approximately half a mile, turn left onto the A3122, signed Dartmouth (immediately after a BP garage). Approaching Dartmouth itself, you will reach a roundabout. Take the first turning (straight on - direction Dartmouth). Having passed a further BP garage on the right, you will approach a mini roundabout (signposted Stoke Fleming - A379). Turn right, direction Stoke Fleming and follow this road until you reach the village of Stoke Fleming (passing a Jet garage on the right hand side). After a narrow slope, the road branches almost 90 degress left (opposite the shop/post office). Proceed slowly and to the right hand-side, in front of you, you will see Channel View (Blue house, opposite the 2nd entrance to Leonards Cove Campsite and the last house on the right hand side before reaching Blackpool Sands). Alternatively, the A385 route towards Torquay from the M5/A38 can be taken (which is probably the route those people using Satellite Navigation Systems will be sent). Please note that this route does mean crossing the River Dart on the Ferry. The nearest train station is Totnes. Taxis should be available directly from the station (or please contact us should you wish for us to arrange a taxi pick up). Alternatively you can take a bus to Dartmouth and then catch a separate bus to Stoke Fleming - please contact us for bus times & numbers.